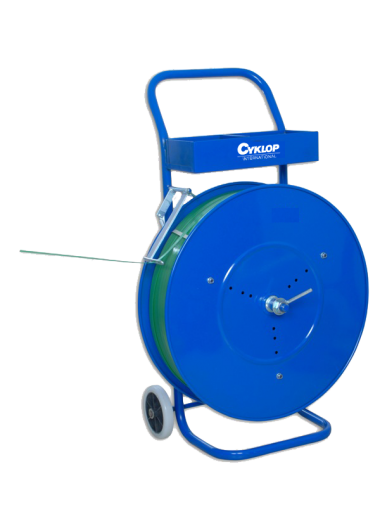 The QPWM Plastic strap dispenser is a solid dispenser unit with options including a braking system so that the reel keeps running. Besides being very easy to change the strapping reel, it is compatible with other cores, in addition to the standard 406mm core. As with the other dispenser units, this dispenser also has a storage compartment for hand tools and seals, thus making a complete mobile solution for plastic strapping. Plastic strap dispenser QPWM with metal discs.